Here is Leaf with Page 9 finished. This was also my Yearly HAED goal. So it is now onto Page 10 and I hope to get at least 1/2 page finished this month. DH is still home with his wrist. DD also got engaged. They are in South America and he proposed on Easter Island. 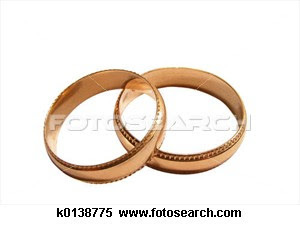 She is getting married when they get home which will be 2011/2012. So plenty of time to plan. Everyone's work is great and Happy Birthday to Wendy and Happy Anniversary - 10 years is a big milestone. I know, it's Sunday, but here I got my update. My worked is kinda messed up. Ice Tea is spoiled on the fabric, and believe me, it leaves a mess. I can't get the stains out. 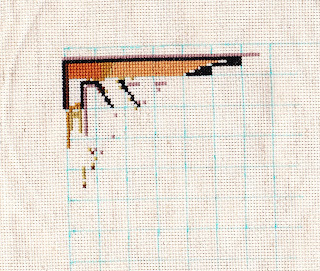 Thank God I need to crossstitch over it. Today I'm almost done with page 3, and still, I only have 4 colors to work with. It gets pretty boring also, cause I don't see anything change. This week I've been stitching a lot on Dragon Knot. I love the way it is coming out! You can't tell by the pictures but the colors are stunning! Well I did join in with the SAL on Thursday but I just couldn't get in to it so I only got a few stitches done. Today (Saturday) is Wendy's birthday!! Wendy, I wish I could be there to help you celebrate, but since I can't get to Belgium from the U.S. today, I baked you a cake instead!! This week I managed to work on both pieces, and for all you scary stitchers: I built a bridge this week. I read your comments about sleepless nights, two hand stitching (I gave it a shot, but it didn't work out lol), and how many of you considered me a brave (or mad?) woman. 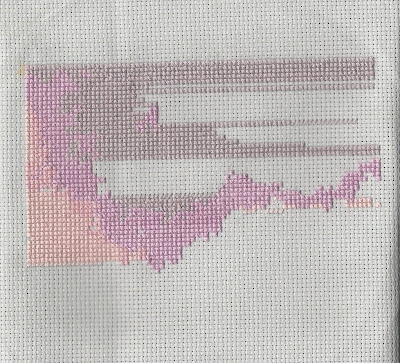 In fact, my DS had a good laugh, when I told him I wanted to add a dangerous factor to my stitching and therefore worked at two sides. 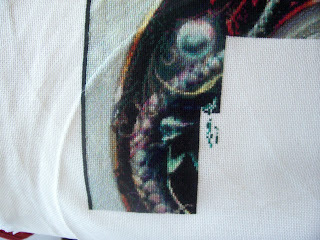 In his mind, how can stitching be something else than dull (I forgive him, he is only 17 years old). Anyway, so you girls can sleep as comfortably as before, yesterday evening I built a bridge between the two parts, and it turns out to be perfect. I have to add some stitches, but I already can assure you I did the perfect counting, and I don't have to frog a stitch! Look for yourself. Finally....page one finished. I started Thursday and didn't stop until I had that page done. What concerns the Kreinik - I'm still not complete sure what to do. To be honest, as much as I do love glitter normally, it seems somehow out of place in the sky. I doubt it that the artist herself has glitter on the original painting. It just doesn't feel and looks right to me. I think I'll replace the Kreinik in the sky with white. And not sure yet what I do with the glitter in the snow. I might leave that. It takes ages anyway until I'm in the position to make a decision about that. Who knows what opinion I'll have by the time I reach the pages where that comes up. Here's my progress on TT Purple Dragon. 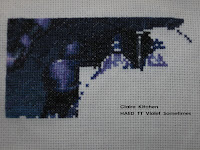 I stitched on this for the HAED TT/ QS/ SK SAL over last weekend then again Wednesday evening and last night. I love this piece so much. I didn't participate last week due to a family emergency. 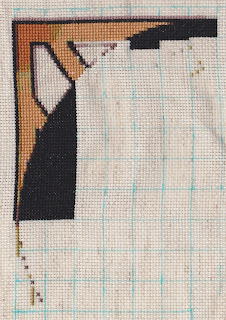 Today I stitched Mistress. I am nearly done with another page (which will be 4 pages done). I will post a picture on my blog when it is completed. I have noticed in the moon that I will have to wash the piece. You can see the color difference in what I just did in the moon and what was done back on the first page of the piece. I had to restart Marchetti's Contemplating the System after Michele reworked the pattern. It looks a lot different than all that solid black from before. I started last Thursday and I am a little over half way done with page 1. 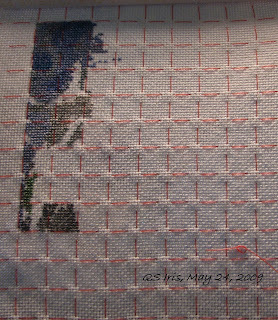 It is stitched 1x1 full cross on 28 count mushroom lugana. HAPPY ANNIVERSARY WENDY AND BRUNO!!!! I hope you'll all join me in wishing them a wonderful anniversary day! Lots of love and best wishes for many more! Cindy F. and "OUR FRIENDS"
This week has been pretty productive. 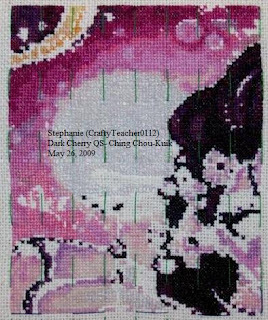 I have been able to sit and stitch alot. All of you understand why it doesn't look like I have done too much. 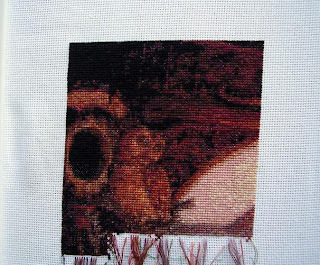 It is so fun to watch your progress on your pieces. I love reading the blog and seeing what everyone else is doing. I'm now working on the second raw, and it's fantastic to see my project slowly growing. I hope that everything goes well for everyone, and I wish you all a fabulous and happy week !! I'm working on page 7 now. 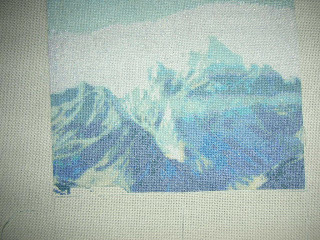 I have stitched a bit over two-thirds. 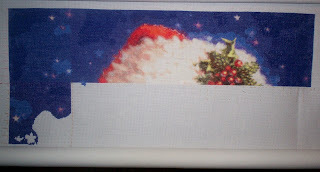 This page has been very easy-going, as it has large blocks of solid colours and very little confetti stitching. I did my SAL stitching yesterday because I was feeling the mojo moving. I worked on the TT Sampler C and got quite a few stitches in. It's easier to do when you've got single color blocks to work on. It's been a couple of weeks since i've posted my progress- i have been joining in every thursday, though. 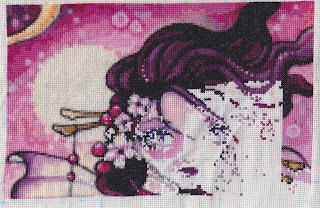 Here she is so far, with nearly 16 pages finished, and just some of her dress and then background to stitch. I can't believe it's almost Thursday already! Wow! this week has flown by! I think our holiday Monday has thrown me off! Have fun and we can't wait to see your progress! I'm still around. 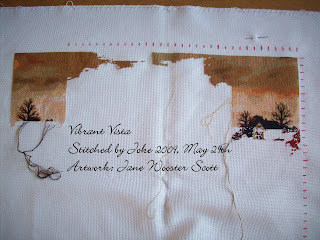 Have not been stitching a lot. Been working alot. So all my haed's have been put away for now. 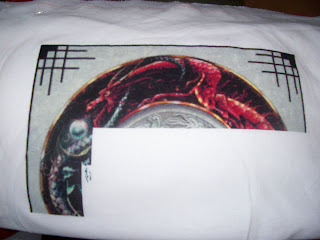 I have worked a little bit on a different design that I started but will not tell until I can may some huge headway. 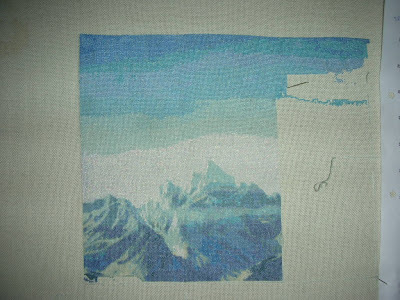 Anyways Everyone's stitching is wonderful keep up the great work and Cannot see more. It's been wonderful seeing all of your progress pics this week! The time will come when we will have one finish after another! 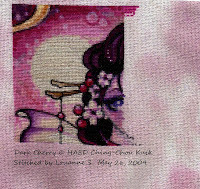 This week I didn't stitch on QS Steam Punk Fairy. The thing with her is she never beckons me to stitch on her, she just sits and waits patiently until I do pick her up and then she draws me in with every X. If anyone still wonders, for Mother's Day I received James Christensen's Faery Tales. I tried a few more things to tame the 27 inches of fabric flowing down the right side, but I think I have to come to terms with the fact that this will be a work at home piece only. That's tragic because it puts the piece on the 20 year track for completion! Mourning my loss of color, I went snooping at HAED. Guess what I found? It's a freebie called Aurora's Garden. I love the greens and blues and it will get hung on the wall behind the aquarium, which has green gravel and a mirror blue background. Wishing everyone smokin' needles this week! I finally got page 1 completed!!! This one sure is slow going for me, though that may just be all of the sparkles... I sware those things take me forever to stitch! This is how I have done over the SAL weekend (QS/TT). I am pleased with my progress - alot more than I anticipated even with going out places with the family. I haven't time to update last week, but here I am now! 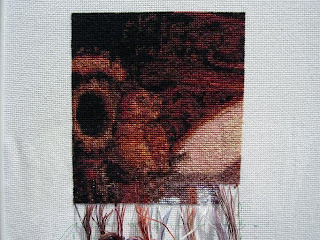 I have been stitching some, but not as much as normaly. 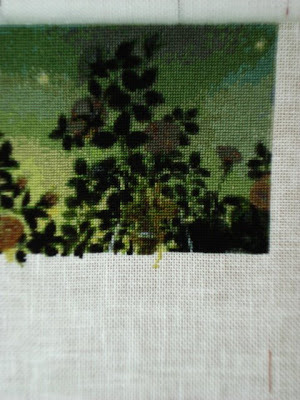 First because I have done LOT of gardening but allso because I'm really bored to stitch that heaven agin. Large areas same color - not so fun to do actually. But - when I finish that page, I can move on to stitch towers. That would bee something new! Yay! Our puppy is coming home this saturday! His name is Rudolf , by the way. . So probably I wount be able to stitch so much next couple weeks. But i defenetly participate SAL and of course read all of your great and wonderful updates! Here's where I am now. ^^^ My goal is to complete these two pages before the end of next month so that I can start on page three! Whee! Everyone else's stuff looks so cool, it really helps to see what you guys do! hello ladies, I can enjoy your beautiful progress .... it is so motivating, but also ... so embarrassing! Snow white is so slow forward, I see everyone every week about great progress that I will be ashamed to my very little progress to show! below is a bit blue of the windows to see and now a row and my first page is ready! Only now! 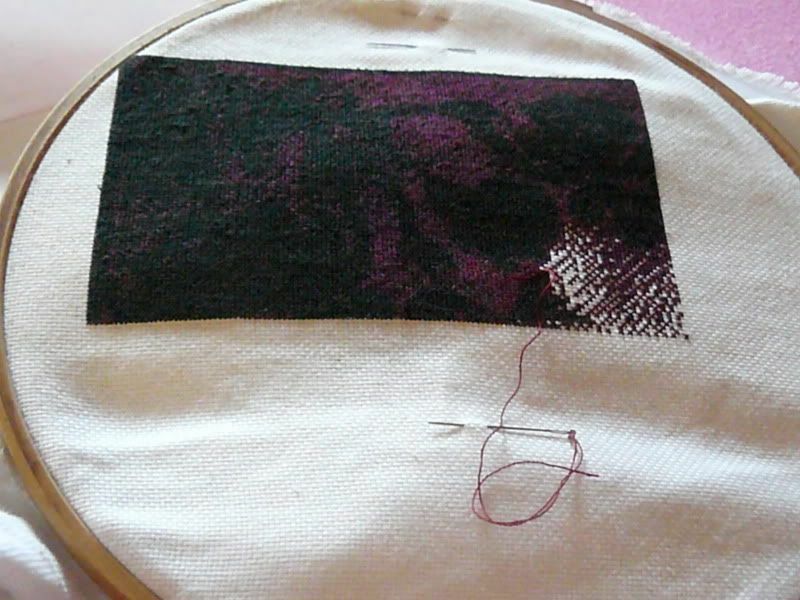 But it is so fun to do and stitch by stitch to get there! Happy stitching and have a nice week! 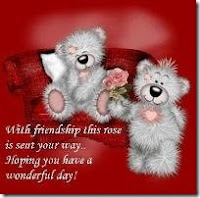 Hi everyone...I hope this week finds you doing well. I have been under the weather so not much stitching was completed on A Wintery Heirloom. 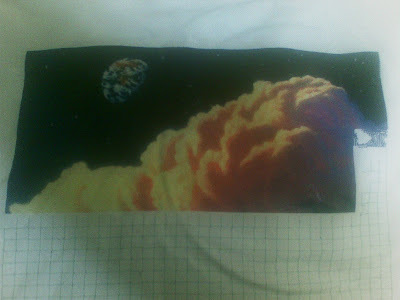 I only put in about 400 stitches of sky. I was excited to work on it because there wasn't a tree!!! LOL!! 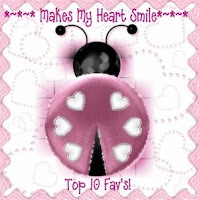 Thank you in advance for all the wonderful comments!!!! So, here's a bunch more done! Stitched 1x1 on 32ct jobelan, with DMC and PTB for the sparklies. In real life the colours are so vivid, she's beautiful! I have just found out a useful tidbit. When you are trying to bring up a blog and get that annoying box saying that Internet Explorer cannot communicate and will be shutting down, click ok, but instead of giving up, or trying to reload it, simply hit the back arrow up in the left hand corner of your screen, and the blog page will come back and work fine. Now I've got to sweep up, and try and glue back all of my hairs that I've pulled out over the past few days. The hard part will be finding the proper follicle for each hair. Sigh. This is my TT Violet Sometimes as of Thursday evening before the SAL weekend. 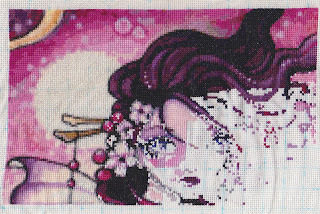 I am so pleased with how she is progressing and hopefully by the end of the SAL I will more of her stitched. Its funny how she is not a bright and colourful little lady but she has really grabbed me and I am loving stitching on her. I will upload again Tuesday if time allows with an after photo. I updated Dragon Soul QS. I've been trying to get things together to actively take part in some of the weekly SAL's. Will try to post update on Citrine tomorrow or Tuesday. QS Iris, An Update! Finally!! 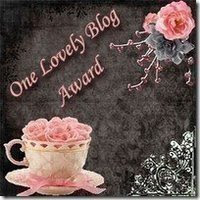 I'm hoping that Blogger & Internet Explorer will cooperate long enough for me to get this posted! Just when I think that everything is repaired, I get the error message, and the blogs shut down. I can't even read my favorites!! All of you keep me SO inspired!! I don't have the time right now to comment on everyones individual projects like I'd love to do, but I do look at them, and admire them in my heart! Everyone is doing such beautiful work! It is an honor to be among all of you! The atmosphere is so thick with creativity, it is electrifying!! So, quickly! I actually was able to sit down this past Thursday and get some stitching done! Not a lot, but at least I am making slow progress. My stitching time has been extremely limited lately, so I treasure the moments that I do have. And no, you can't see any iris yet, darn it. This is still all of the muted background. The colors are actually lovelier than what this image shows. Wishing all of you a beautiful and safe weekend! 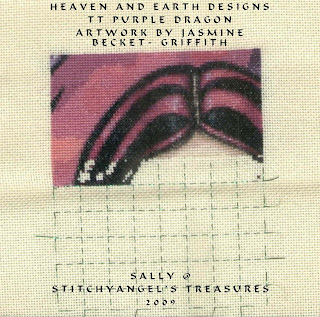 Another week has passed and I was able to do a lot of stitching on my Land of Enchantment. 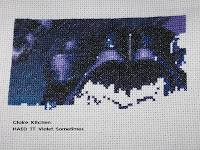 I enjoy it so much that I didn't even stitch on my other WIP's. So here is my update on my HAED. I did about 2400 stitches last week. 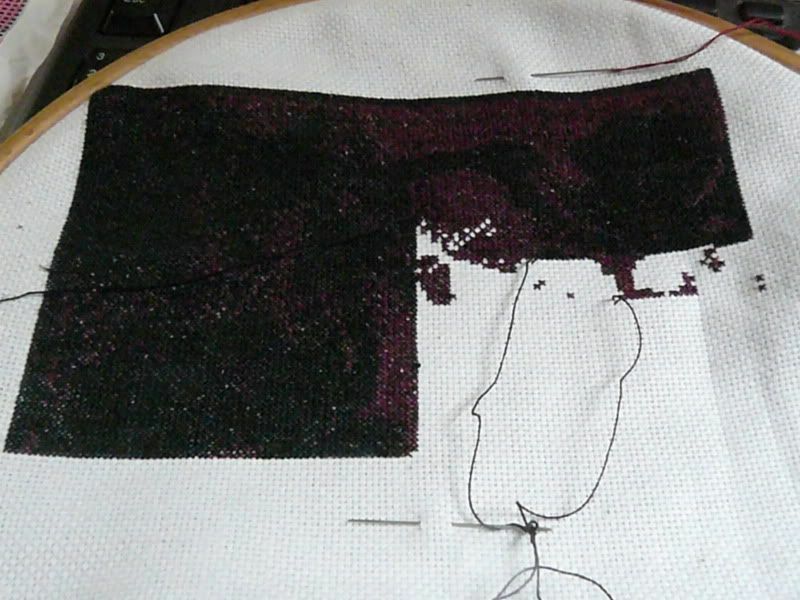 I really enjoy so much seeing your progresses that I want to stitch some more HAED. You guys are doing such a wonderful job. Next week on Saturday it is my birthday, so I ordered 2 new patterns. I don't know if I will be able to wait before I will start one of them. I ordered 2 patterns from Scott Gustafson which are "Pegasus and the Muses" and Santa Claus at the North pole". I'm all excited to receive them. I have been working steadily on this and have completed another page! 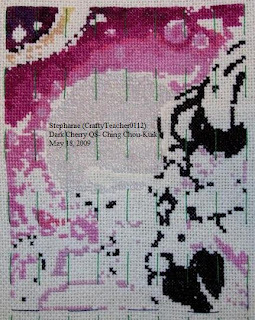 You can follow updates on this and my other cross stitch projects at this link. Thank you guys for all your encouraging comments! Believe me, they help!! Your wips are amazing and I'm enjoying them so much! Hope you have a fabulous weekend!! 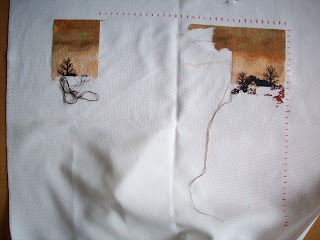 Mich - Holidays ... time to stitch even more !!! To those who are waiting to see!